Along with these values, Bobcat Band members develop the important life skills of time management, leadership, cooperation, humility, and responsibility. We believe these values, when combined with quality music, lead to an exciting and rewarding musical experience. 1. Develop, in all students, a life-long love and appreciation for music. 2. Develop, in all students, proficiency of reading and interpreting music. 3. 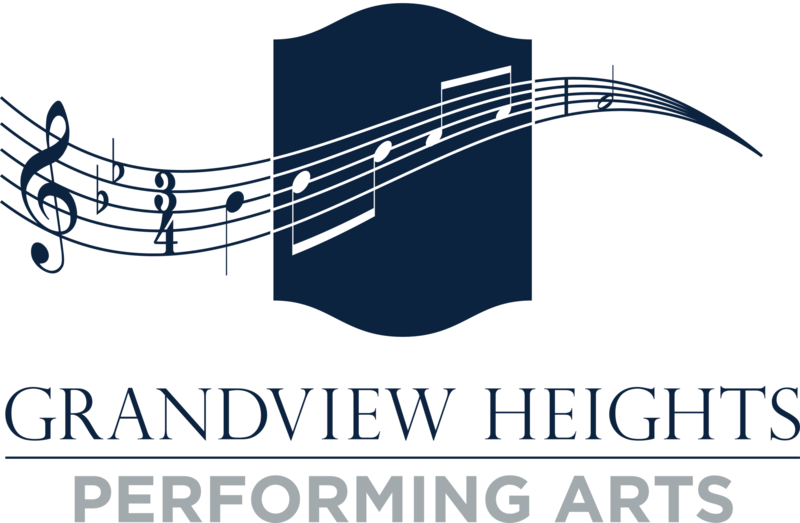 Support both Grandview Heights High School activities and our community through the performance of high-quality music. 4. Project a positive image of the school and the Grandview Heights Band Department. 5. Provide enjoyable and exciting experiences for students in all performing ensembles. “The Pride of Grandview Heights” is the most visible and recognizable group in the Grandview Heights High School Band Department. Membership is required of all students who sign up for high school band; with the exception of football players. The Marching Band performs at all Grandview Heights High School football games as well as pep rallies, parades, Marching Band Concert, and other scheduled events. The marching band rehearses during the school day and Wednesday evenings from 8:00-10:00 pm on selected Wednesdays throughout the football season. Attendance at all scheduled rehearsals and performances is required. The Grandview Heights Concert Band is made up of students from the marching band; some performing on specialty instruments. The purpose of the Concert Band is to provide its members with the pedagogy and development necessary to perform at each individual’s highest level. The Concert Band performs at all school concerts. Attendance at all scheduled performances and rehearsals is required. The Grandview Heights Wind Ensemble is made up of students from the Concert Band. The Wind Ensemble is designed for any woodwind, brass or percussion specialist who is interested in performing a challenging repertoire of music tailored to the performer’s needs. The Wind Ensemble rehearses on Even Block day (Tuesday) which requires the utmost in student preparation. The performance schedules vary from year to year, and are subject to change. Attendance at all scheduled performances and rehearsals is required. The Grandview Heights Jazz Ensemble is a select group of mixed instrumentation that rehearses during the school day. Students interested in any/all idioms of jazz should request this course and complete the audition process in the prior spring semester. The Jazz Ensemble performs multiple concerts per year and, schedule permitting, attends a jazz festival in the Central Ohio area. Attendance at all scheduled performances and rehearsals is required. The Pep Bands (Blue & White) are required for all students registered for band and performs at 5 pre-selected home Boys basketball games and 5 pre-selected home Girls basketball games. Music selection is similar to the Marching Band; student leaders will have opportunities to conduct and rehearse the ensemble. Attendance at all scheduled performances is required.